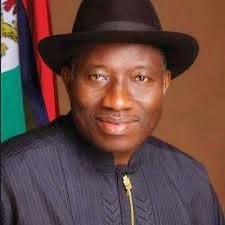 According to The Nation, President Goodluck Jonathan on Wednesday marked his fifth anniversary as a substantive President of the Federal Republic of Nigeria. Jonathan, following the death of former President Umaru Yar’Adua and his declaration as Acting President through the doctrine of necessity introduced by the National Assembly, became substantive President on 6th of May, 2010. President Jonathan, who arrived for the weekly Federal Executive Council (FEC) meeting took all the Ministers in attendance by surprise. After the national anthem and national pledge have been rendered, Jonathan threw a poser at the Ministers that one of them was marking his birthday and the national prayer would be replaced by prayers by Christian and Muslim members before the Council can settle for the business of the day. The Ministers looked round at one another in awe to see the particular Minister who was marking his birthday. When they didn’t know the name of the person, the President then reminded them that 6th of May, 2015 marks his 5th year anniversary as substantive President. They all responded by clapping before the Minister of Power, Prof. Chinedu Nebo said the Christian prayer while the Minister of State for Finance, Bashir Yuguda said the Muslim prayer.